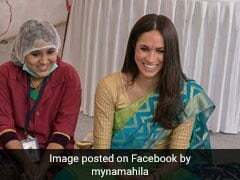 Tamil "superstar" Rajinikanth on Friday said his formal political entry will coincide with the next assembly polls in Tamil Nadu. Across Ernakulam, the business hub of Kerala, beautifully shot posters of candidates have been splashed across the walls. The waste seen lying in public spaces, many times around these posters, turn out to be a major eyesore. 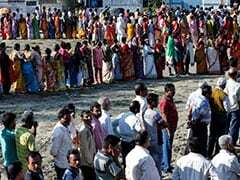 But this parliamentary election is proving a different priority for the district that is home to the city of Kochi. 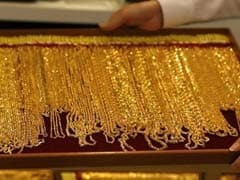 A three-year-old boy who was severely injured on his head after being allegedly subjected to torture by his mother died at a private hospital near Kerala's Kochi on Friday morning, doctors said. 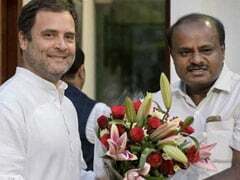 BJP MLA Basavaraj Bommai today said voters will decide who is a "hero" and who are the "jokers", in an apparent reference to PM Modi as the "hero" and Congress president Rahul Gandhi and Chief Minister HD Kumaraswamy as "jokers". BJP's Karnataka unit on Thursday wrote to the Election Commission over alleged "mass indiscriminate deletion" of names from the voters list in the state. 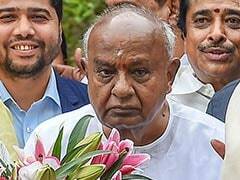 Former prime minister and JD(S) supremo HD Deve Gowda has said that unlike BJP veteran LK Advani, he is not going to retire from active politics, and that if Rahul Gandhi becomes the prime minister of the country, he will be by his side. 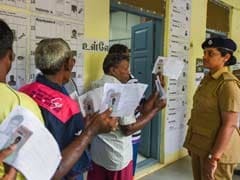 They lined up patiently to cast their votes in the blazing sun, 156 inmates of a mental health centre here, eager to participate in the electoral process as polling was held in 38 Lok Sabha seats in Tamil Nadu on Thursday. 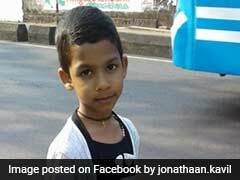 A 7-year-old boy in Kannur returned home disappointed after he could not catch a glimpse of his "fan" Rahul Gandhi. 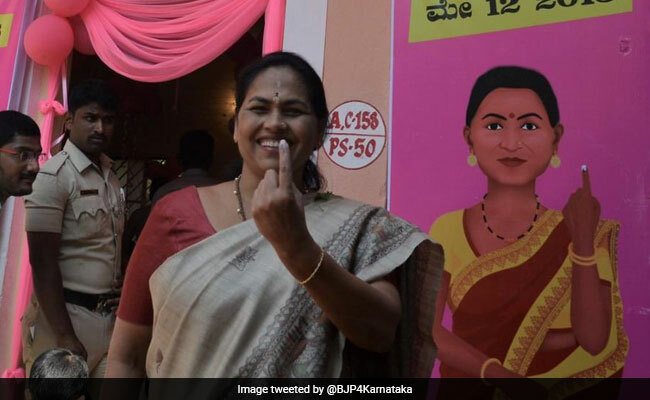 Close to 400 of the 30,164 polling stations in the 14 Lok Sabha seats in Karnataka where voting was held on Thursday were staffed exclusively by women, an official said on Thursday. 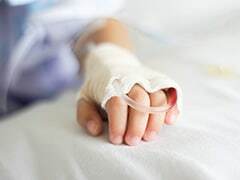 3-Year-Old In Coma After Mother Beats Him Up In Kochi For "Disobedience"
A three-year-old boy has slipped into coma after being allegedly subjected to torture by his mother near here for being ''disobedient'', police said Thursday. TS Inter Results 2019: The Telangana State Board of Intermediate Education or TS Results for the 2nd year IPE March 2019 exam have been released today. The TS Results 2019, TS Inter Results 2019 for the 2nd year IPE March 2019 exam have been released. 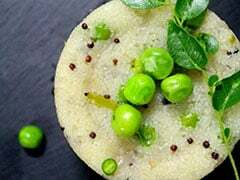 The Telangana State Board of Intermediate Education (TSBIE) released the results for IPE March 2019 exam today. The pass percentage for the first year students is 59.8% and for 2nd year students is 65%. 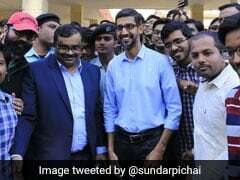 A few hours after the second phase of voting began for the Lok Sabha elections on Thursday, a curious statement started swirling on Twitter: "Google CEO Sundar Pichai has voted in the Lok Sabha elections". What appeared to lend credence to the claim was a photo of Mr Pichai surrounded by an admiring crowd. 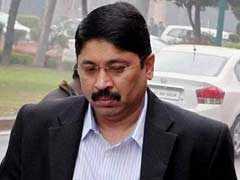 The ruling AIADMK in Tamil Nadu today alleged violation of the model code of conduct by DMK leader Dayanidhi Maran, saying he sought votes on polling day. 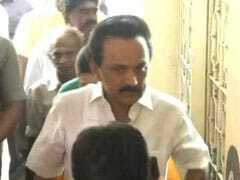 The ruling AIADMK today lodged a complaint with the Election Commission against DMK president MK Stalin and the party's Chennai Central candidate Dayanidhi Maran for violating the model code of conduct (MCC).